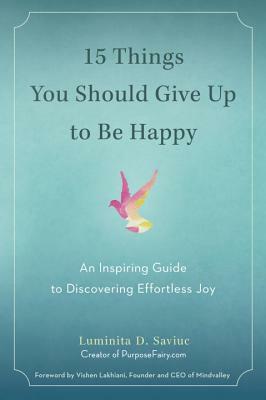 Simple yet wise, and informed by the author's own inspiring personal journey, this liberating little book presents a fresh twist on happiness advice: take a step back to reflect, and give yourself permission to let things go. Includes a foreword by Vishen Lakhiani, New York Times-bestselling author of The Code of the Extraordinary Mind and founder and CEO of Mindvalley. LUMINITA DANIELA SAVIUC is the creator of Purpose Fairy, a popular blog with a large and active social media following. Until recently, she also held the role of product development lead at Mindvalley, one of the largest online publishers of personal development content in the world.